Mobius wrote: And let's hear more about these rocket attacks by aircraft. And it is Carpiquet airport. Air view dated June 24 1944 just 3 days before the mention in 3RTR War Diary. Squares in pink are locations given in the War Dairy for the German tanks and blue arrow is the general area of the wrecks in the Oct 1945 air view shown in an earlier reply. .
You should now be able to see how everything connects up. Mobius wrote: I can't match the locations of any of Kenny's recent map with a location on the aforementioned battle area. Unless the drawn map is all wrong. EPSOM objectives were to force a crossing of the Odon river and capture Hill 112. This map marks names you should know and will give you an overall view of the connection between the various locations. Wow what I have I missed. I don't think that this thread is being compromised by some posters adding different topics, in fact it has turned out to be most enlightening. I love those maps Michael. great maps , please keep this up. Returning to the OP's question...The Tiger tank, or even the Panther tank, presented automotive maintenance issues that I believe the US would never accept. 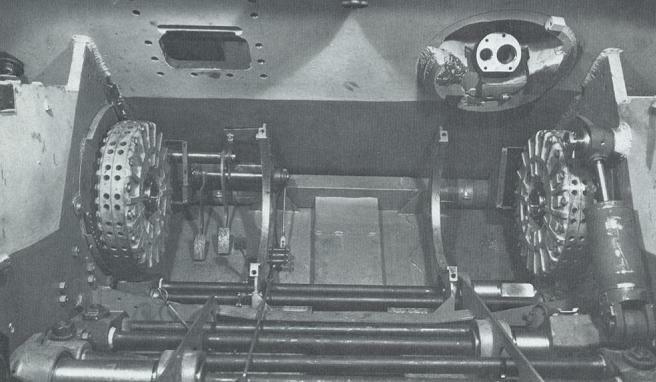 The Tiger tank, with it's frontal drive system, presented a lengthy exercise to remove the 'transmission' and related components. 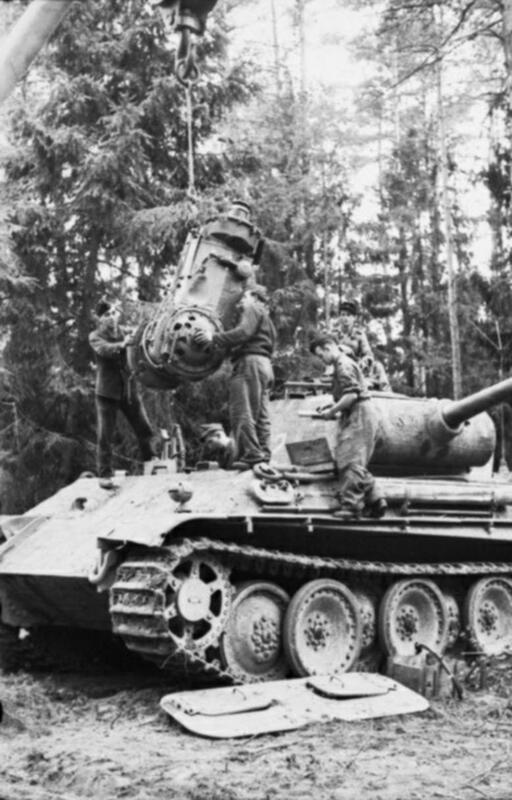 The Panther, as seen in this photo, was 'easier', in that it could be done with the turret in place. The Panther driver's hatch and RO hatch are built into a removable plate that is seen in the foreground. 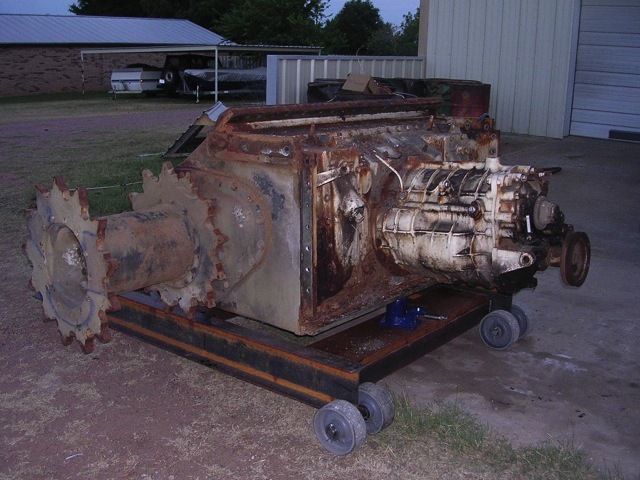 If you have ever changed engines on a car, you can probably empathize with the mechanics in the picture. They have to fit it into here...after gutting out all the seats , radios, etc. I believe on a JagdPanther, this operation would have to be done by removing the whole gun and mantlet . 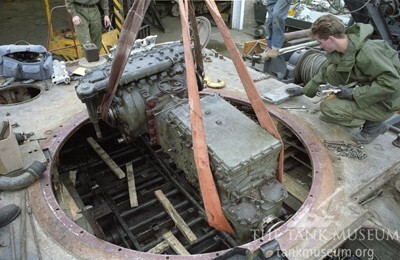 I do not see a way to do this operation on a Tiger I as it is being done on the Panther. There is no means to access that area, unless the turret is taken off (or armor 'dewelded') and it would be an incredibly difficult operation that could only be done at depot level. The Sherman tank is famous for both its automotive abilities and maintenance (well, discounting the suspension...till the E8). The whole front end, with armor is removable and jigged up in production so that it becomes a common component. That is, one can be salvaged from another Sherman and put on. Did any of you guys see the TV show on the discovery channel called "Combat Dealers"? The episodes which showed them re-building a Panther tanks was very good. Richard Pearce Hunnicutt wrote: The Pershing weighed approximately 45 tons and carried a 90 mm gun. The vehicle was designed to provide firepower and protection comparable to that of the German Tiger I. The latter was expected to equal the firepower and protection of the German Panzerkampfwagen VI Tiger I and still maintain a lower vehicle weight. The Tiger I, however, had been studied since its introduction in late 1942 and it exercised considerable influence on the final Pershing design, since one objective was to provide a medium tank with equivalent firepower and protection. "It is interesting to compare the Pershing with the Panther as well as the Tiger I, the tank it was designed to defeat." Speaking of possible opponents for Tigers 1 and Panthers, usually forget about such a Soviet tank as the T-44. This tank was ready already by the end of 1943 year, in period 1944 was tested together with Panther and by the end of the year was launched in production. But he never participated in real fighting, although by the end of the war their was already order 200 units. The military were categorically against the launch of the production of this tank, as this would affect the volume of production of the T-34, which is coping with its duties. If you look at the parameters of the T-44, then the level of reservation it was at least no worse than the Tiger, had a gun of the same caliber, but was much more mobile, had much smaller dimensions and weight. How successful was this tank can be judged by the fact that its improved version of the T-55 is still in service in many countries and is actively fighting in different "hot spots". Sorry, yes I know that quote, but you are taking it out of context and out of the context of my remark. Medium Tank 26E3 was the end result of the Medium Tank T20-series of projects. That development began 25 May 1942, long before the Allies were aware of the Tiger...and three months before the first Tigers were produced. It was a medium tank development project design an improvement over the Medium Tank M4. It was not a heavy tank. It was not even designated a "heavy tank" until 29 June 1944 and its wartime operational and tactical use was as a medium tank. 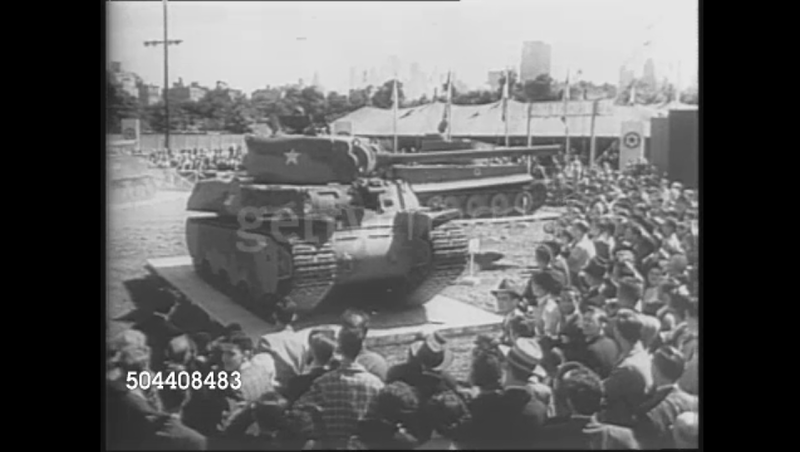 The heavy tank design of that period was the T1, which began development 20 May 1940...and was also never intended as an "answer" to the Tiger. And still a bit not on topic. The German Tiger 1 appeared as a German analogue of the Soviet KV-1. They have the same reservation, the same mobility and differ only in weapons, but the KV-1 appeared on the battlefields much earlier. The subsequent development of heavy tanks in the USSR and Germany went in different ways. If the Germans did heavy tank-fighters tanks, the Soviet Union on heavy tanks laid in the first place the destruction of fortifications. Fighting tanks for them was secondary. By the way, the onboard and stern booking of modern main (in fact - medium) tanks has not changed significantly since the transition of the average T-44 to the booking of heavy tanks of that time. And it is not intended for parrying the blows of heavy armor-piercing shells, but for parrying the blows of highly mobile weapons-guns up to 30 mm in caliber at a medium distance, as well as fragments of artillery shells - by the way, still the main enemy of tanks in global wars. I don't think it has been mentioned but the Soviets had the IS-2, and despite being better than the Tiger in many ways it wasn't exactly the leading tank of the Soviet forces and was just used to supplement T-34. and it is set to become 'The' standard on the engagements. The detail within will amaze you. Is there going to be/is there already an English version? I've been looking at Fontenay-Rauray a lot due to the Operation Dauntless game by GMT. While I agree thatthe TIGER was put in production in response to the earlier KV-1, it´s by far not the same. The KV1 had inferior armor thickness, not identic as claimed here, particularely over the frontal arc (1/3 thicker armor: 100mm vs 75mm). It had an inferior gun, both on AP and HE capability in addition to accuracy, inferior communication equipement and most importantly: The KV1 had considerably inferior mobility, relying on, for such a heavy AFV, obsolete clutch and brake steering, and also exhibiting an inferior mean peak pressure created by the running gear. The T44 armor suite is substantially more modern than the TIGER´s employing sloped front plating, however, it shared the same general weakspot as the T34: a turret with cast, high hardness armor, which was suspect to shear failure when hit by capped AP. The 1944 prototypes also had somehow weaker armor protection than 1946 mass production T44: 75mm glacis and nose plate (instead of 90mm later) and the upper side 75mm vertical with the lower sides behind the running gear thinned to 45mm). The 1944 mod. (prototype) T44 offered roughly aquivalent levels of frontal ballistic protection as the PANTHER,but without giving away mobility and on a more compact package. The T44 cannot be regarded to be similarely protected as a heavy tank for the want of bottom protection against mines, a charakteristic, which is required for the breakthrough role envisioned for KV1, IS, TIGER and TIGER2.